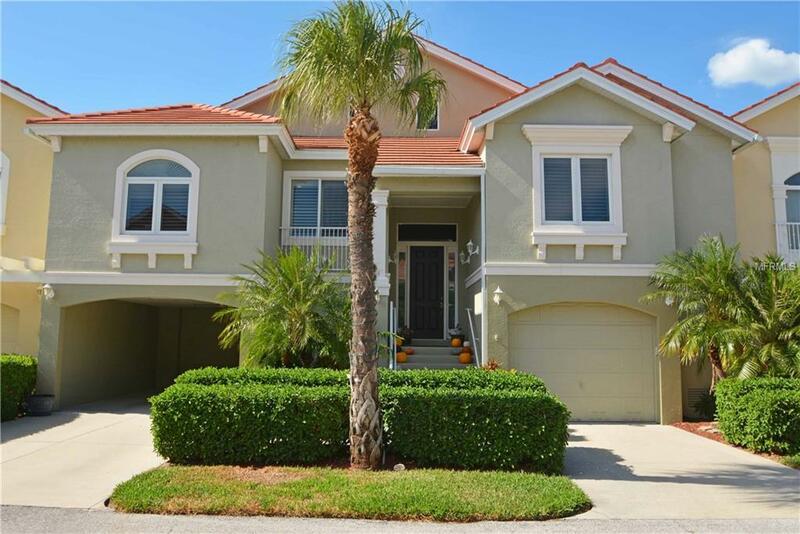 ELEGANT RESIDENCE IN MARINA BAY; located in a sought-after gated community, this Mediterranean-inspired home has it all! Impeccable attention has been paid to the many fine details throughout. Some of the sensational highlights include a private elevator, a fireplace, volume ceilings, archways, columns, crown molding and plantation shutters. The kitchen features granite counters, stainless steel appliances, snack bar opening to a family room and kitchenette for entertaining and informal meals. 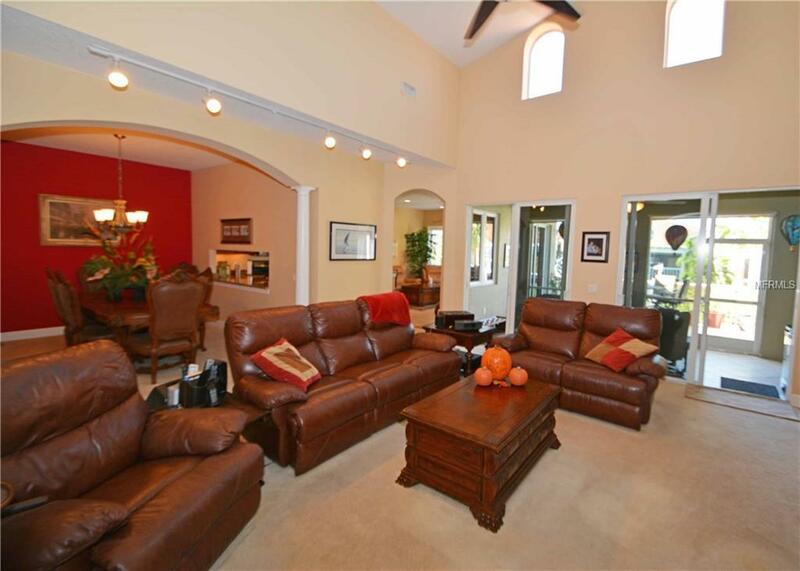 The living and dining rooms are perfectly designed for engaging in a more formal setting. The residence hosts four spacious bedrooms; the grand master suite boasts two walk-in closets, sliding doors stepping out to a tiled balcony, a master bath with dual sinks, granite counters, deep jetted tub, separate tiled shower and private water closet. 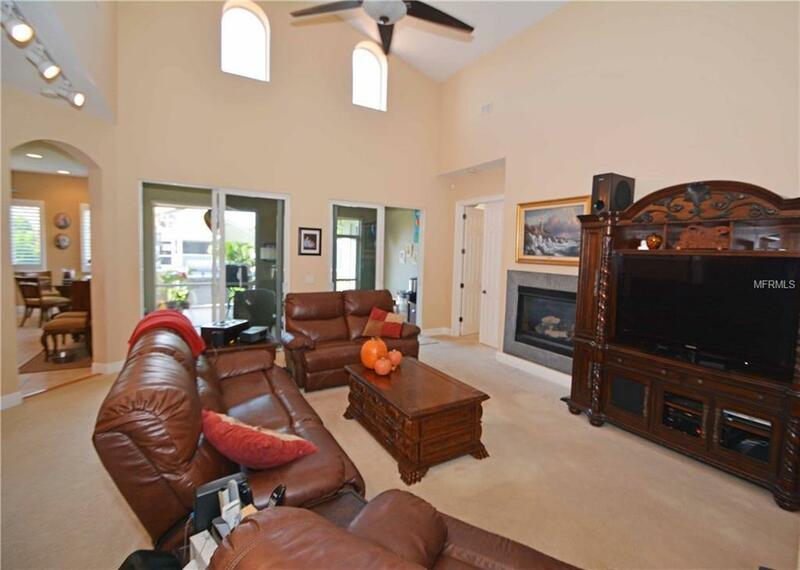 The luxurious domicile offers three full and one half bathrooms, commodious screened and tiled lanai, in addition to an al fresco tiled balcony allowing one to enjoy spectacular outdoor Florida fun! This unparalleled dwelling with over 2,800 sq.ft. of stupendous living, designed on one level, encompasses a prodigious private garage that easily accommodates over 5 vehicles, storage, and workshop; the residence also features a carport. 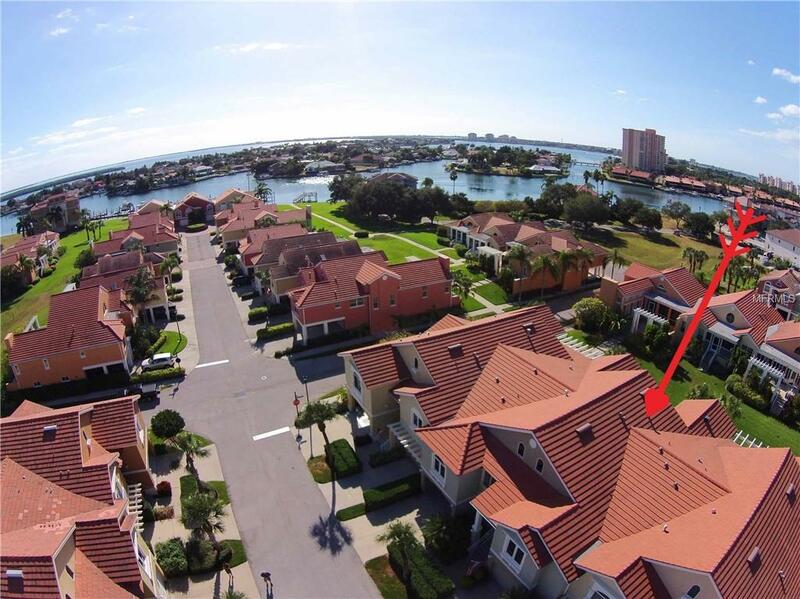 The breathtaking gated community of Marina Bay has natural landscaping, water views, private docks and slips, fishing pier, club house, fitness center, 2 community pools and hot tubs. The construction is superior to include poured concrete floors! Pet Restrictions 2 Pets Up To 100 Lbs.